If you’re looking for a fun, healthy and different Valentine’s Day snack idea, do I have something for you. 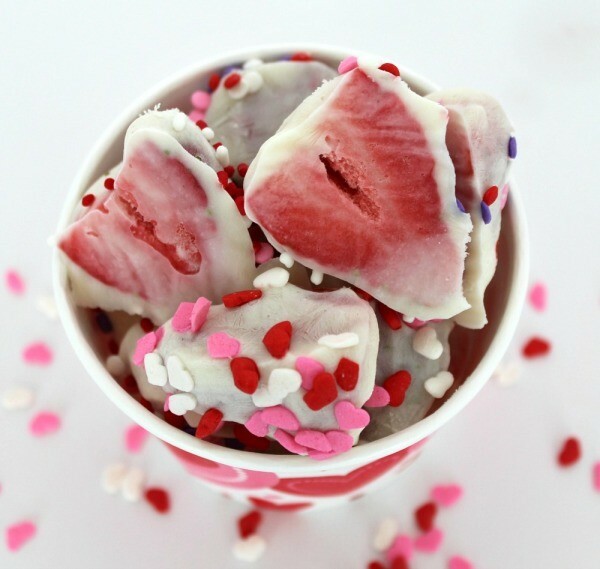 Check out these beautiful and delicious frozen Yogurt Covered Strawberries. The hardest part about these is waiting for them to freeze before you can gobble them up! 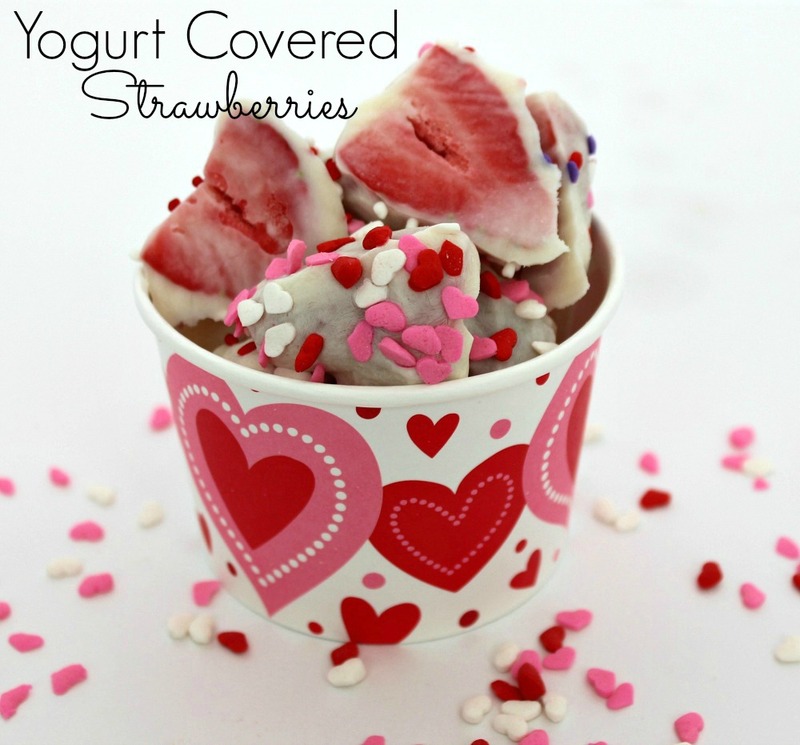 They are super easy to make and they’re not just for Valentine’s Day. Leave out the sprinkles and serve them on a hot summer day as a cold snack. They thaw pretty fast, so don’t leave them out very long before you plan to serve them. I’ve been munching on these yogurt covered strawberries for the past few days and they’re such a nice, quick snack to have around. Here’s how to make them. Like I said….SUPER easy! 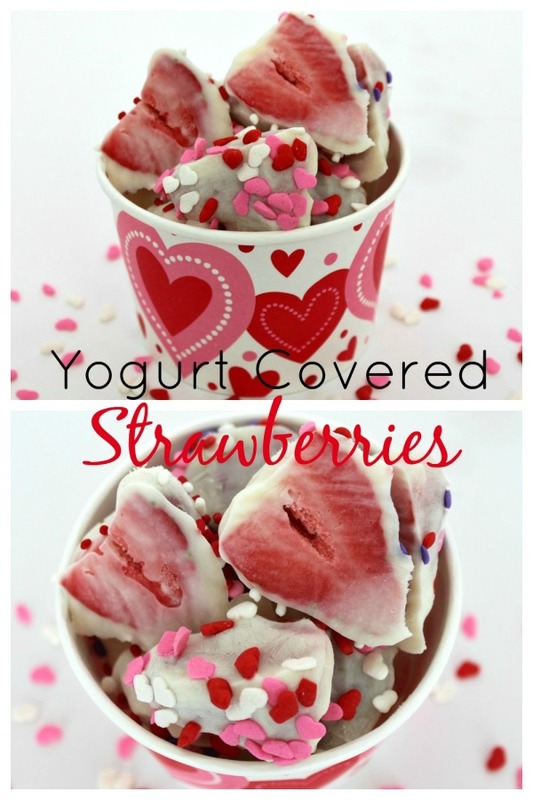 These frozen yogurt covered strawberries are a healthy, delicious, frozen treat. They're perfect for a hot summer afternoon. 1. Dip the halved strawberry in yogurt, leaving the halved side uncovered. 2. Place the halved side of the strawberry down on a parchment lined cookie sheet. If using sprinkles, sprinkle the yogurt covered strawberries before you freeze. 3. Place in the freezer and freeze for a few hours.